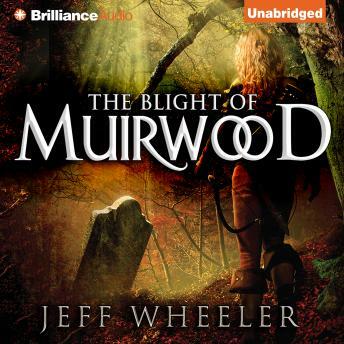 In The Blight of Muirwood, the second book in the Muirwood Trilogy, Lia finds herself filled with inner turmoil after the great battle of Winterrowd that led to the death of the ruthless king and her closest ally. Despite her reservations, Lia is called to be an official protector of Muirwood Abbey and is charged to employ her abilities to defend Ellowyn Demont, the lost heir of the fallen kingdom of Pry-Ree. Her duties are put to the test when the Queen Dowager arrives in Muirwood accusing the Aldermaston, the abbey's leader, for the king's death. Amidst the turmoil, battle ensues, and Lia learns of a terrible plague that threatens to cover the land in darkness and death. Atop it all, the magic of the world begins to fail. In a quest to undo the devastation, Lia's path brings her to a startling revelation that will change her life forever.